Home » Four ways you can make your child’s experience with brace that little bit more positive! 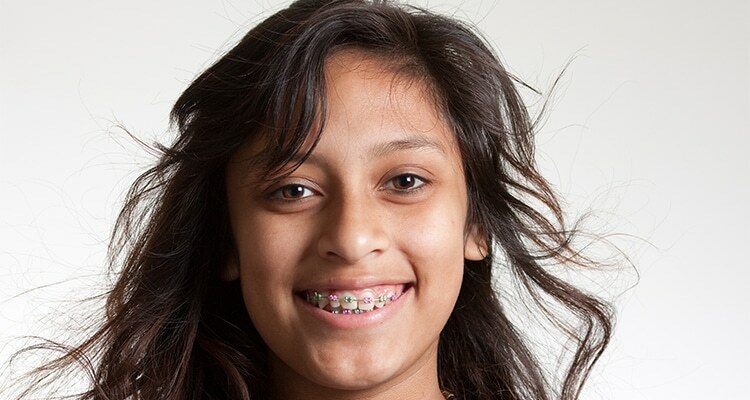 Braces are a pretty normal part of a child or teenager’s life. But that doesn’t necessarily mean that they are going to enjoy having them! Whether that Is because they are afraid that they will be teased, concerned about the pain, or just don’t like the way they look, the whole idea of braces can fill your child with dread. Children often cannot see as far ahead as adults and therefore can struggle to understand the long-term benefits of orthodontic treatments; especially if their teeth weren’t too bad to begin with. We have created four ways to help to encourage your child through their braces experience! When your child has braces, they may be restricted from eating some of their favourite foods. This may be due to some tenderness directly after the braces are installed, or after an adjustment appointment. It is also because some foods, like hard candy, nuts or popcorn, can damage or get stuck in their braces. It is important that your child is aware of what they can and can’t eat, to ensure that there are no awkward moments, or emergency trips to the orthodontist. We recommend providing ‘special’ alternatives when your child’s diet is affected, or when they might feel left out. This could mean making delicious, healthy smoothies when their teeth are sore, replacing like hard candy with jelly, or letting them pick out their favourite ice cream flavour from the store! One of the more exciting things about modern braces, is that they can be customised! This means that your child can express themselves through their smile, in more ways than one! They may choose warmer colours for summer or blues for winter, or the colours of their favourite sports team… the possibilities are endless! Many children come to their appointment excited to remove their old colours and to choose a new set. This one might seem like a no-brainer, but it makes the list nonetheless! It is important that your child has positive associations with visiting the orthodontist and with taking care of their appliance, to ensure a healthy and successful treatment. This might be as simple as making their favourite food for dinner that night (provided that it is okay for their braces! ), letting them play their favourite video game or just spending some quality time together. The way your child associates orthodontics plays a key role in determining how much they enjoy the process. Show them that braces can be cool! There are many celebrities smiling proudly on the red carpet, thanks to the work of orthodontics. While some celebrities have opted for a more discreet solution like Invisalign, many have decided to flaunt their braces proudly. Your child should too! Showing them pictures of celebrities (like Miley Cyrus, Emma Watson, Katy Perry and Tom Cruise) who have braces themselves, may help your child to feel like they aren’t alone to think and that braces are actually pretty cool!